The biggest cheer of the afternoon was the one which welcomed news of Sunderland’s defeat, and not just because a fair few North Shields supporters were only in Bridlington because they couldn’t be bothered to follow Newcastle United to Swansea City. The last straw for Russ came when his son, aged eight at the time, was barged to the floor by one of Sunderland’s Premier League superstars who didn’t have time to pause for an autograph. The North Shields Ultras flags celebrate the postcode of NE29 and the FA Vase win at Wembley last season. The club was on the up before that silverware success, although suggestions that 350 supporters or more would descend on this traditional seaside resort were maybe a tad optimistic. Certainly there were only 351 in the ground, but the crowds in the club house at 45 and 90 minutes suggested many stayed in the bar and didn’t watch the match. It’s all about the day out. 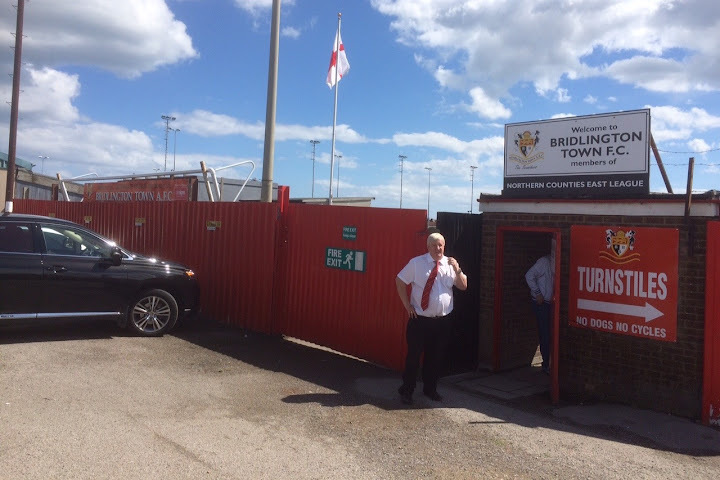 Bridlington chairman Pete Smurthwaite, pennywise as ever, didn’t mind. Money paid on the gate enters a complicated process which ends with a sizeable chunk being paid to the visitors. Bar takings stay with Bridlington Town. Pete had calculated that if the club took £2,000 on the gate it would end up with rather less than £900. Outgoings included £206 for the officials who inexplicably had travelled from Newton Aycliffe via Shildon and Northallerton, clocking up a round trip approaching 250 miles. It’s possible to get neutral officials from much closer to Bridlington, but Pete says the FA think everyone north of Watford lives in the same street. There was also a bill for stewards. Pete pulled in four freelances who normally work for Hull City. They earned their money by managing the shared car park as neighbours Bridlington RUFC welcomed the region’s top club Hull Ionians for a pre-season friendly. They also had a part to play in quelling the over-exuberance of some North Shields Ultras as the action unfolded. So Pete could have done without the offensive rumour that the barbecue organised to celebrate the start – and, as it transpired, the end – of Brid’s FA Cup campaign was free. “Do I look like a millionaire?”, he asked one fan who fancied a free burger. A win would have been nice, with its prize money of £1,500, but the 2–0 defeat was not a disaster. A draw would have meant a Wednesday night replay, more expenditure than income and a weakened side with some key players unable to get off work. Now Pete can go and watch Hull City against Fulham. 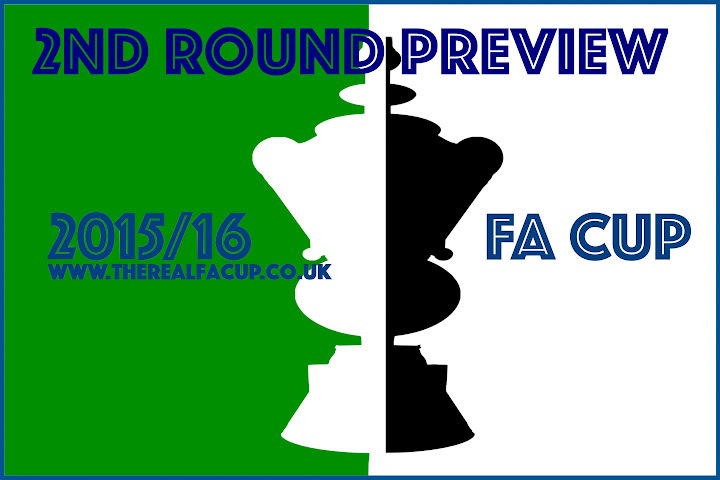 In truth Brid were worth at least a draw until they became stretched chasing an equaliser in the closing stages. Much of the contest was scrappy and occasional outbreaks of petulance kept ref Chris Ellis on his toes. 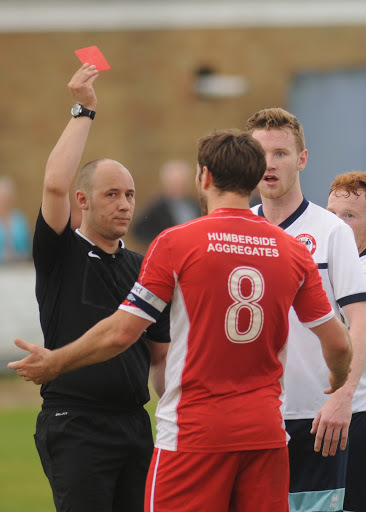 He set the standard with two yellow cards in the first 10 minutes for rash challenges by Brid’s Tom Fleming and Lewis Clarkson, and he dished out straight reds in the second half when Fleming and North Shields’ Curtis Coppen went head-to-head a little too aggressively. But Ellis resisted any temptation to act after he dropped his cards in the middle of the pitch and Brid midfielder Ombeni Ruhanduka returned them, brandishing the red, Gascoigne-style, as he approached the official. 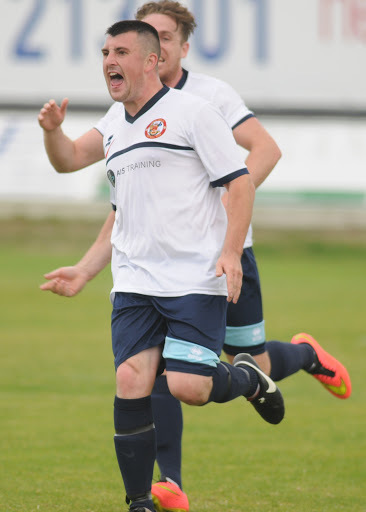 With the double dismissal coming immediately after John Parker’s opening goal for Shields the suspicion was that Brid might suddenly find the extra space which they had been denied by the visitors’ determined and well-organised defence. 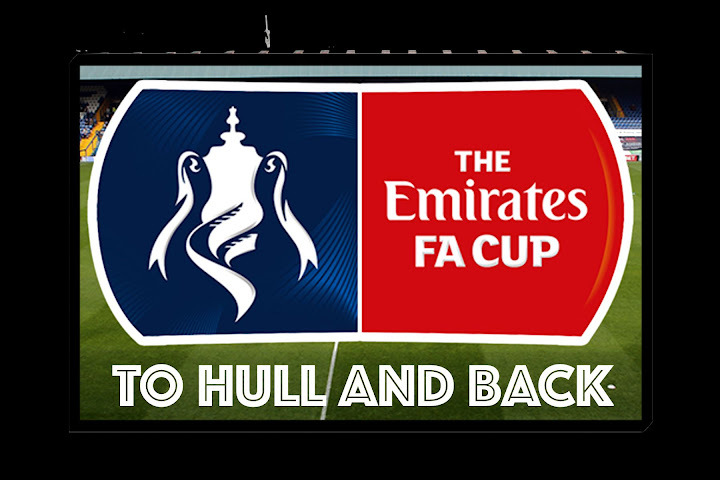 Brid had blown the best two chances with Clarkson rounding the keeper in the first half only to see his shot kicked off the line and then Joel Sutton starting the second period with a drive which bounced back off the crossbar. 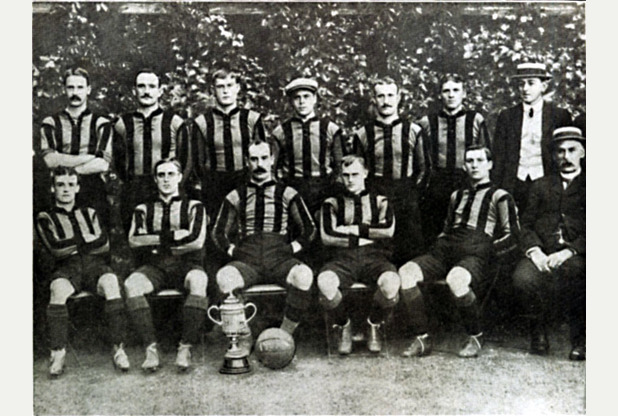 But Brid fell behind when they left Parker unattended and the centre-back nodded a deep cross just inside the post, with Brid keeper James Hitchcock clutching the sea air. Chasing the game, Brid gave Shields striker Gareth Bainbridge the chance to shine in the last 10 minutes. Bainbridge placed his first shot from some 25 yards past the keeper and against a post. Minutes later he drew a fine save from Hitchcock and in added time a smart shot found its way into the corner of the net. But while things had opened up on the pitch they became more tightly controlled on the touchline. A minute’s silence to mark the passing of stalwart Brid supporter Frank Wilson was impeccably observed but the North Shields Ultras erupted in celebration of Parker’s opening goal with one fan jumping onto the pitch and others blocking the gangway. 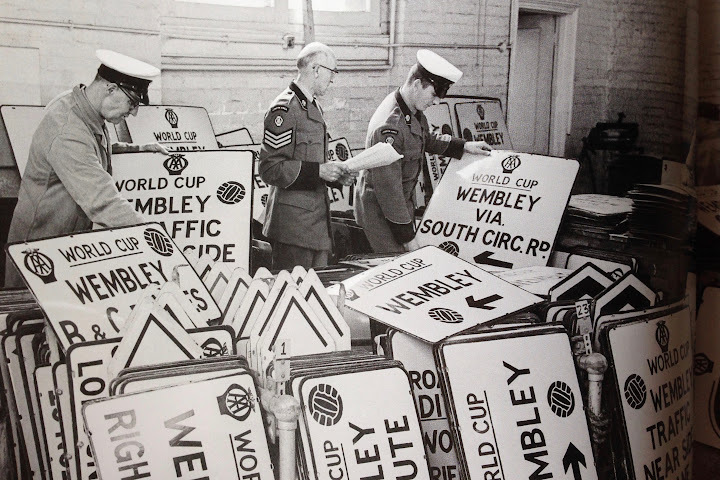 Words & Some Pictures: Phil Ascough, whose book ‘Never Mind The Tigers – The Ultimate Hull City Quiz Book’ is published by The History Press and available now. 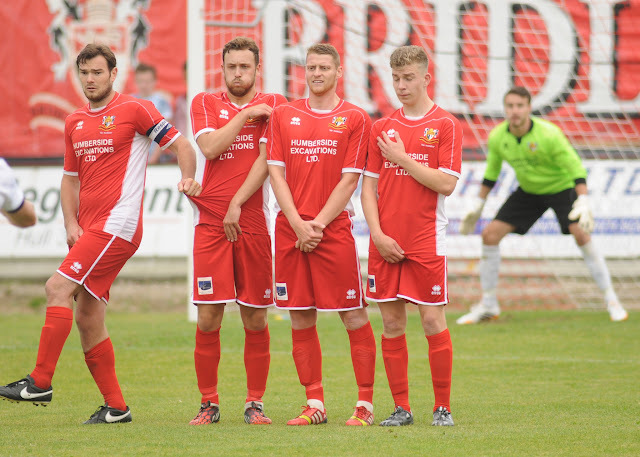 Match Photos: Dom Taylor, Bridlington Town’s official photographer.